Marz Sleep Spray Reviews: Ingredients For Better Sleep? Marz Sprays become a hit since it emerged as winner on an American reality television series that aspire entrepreneur-contestants make business presentations to a panel of investors. Among Marz oral spray products, the Marz Sleep Spray formula contains ingredients that are said to be effective in helping people fall asleep faster. But are such claims supported by medical research and clinical results? Sleeping Spray vs Sleeping Pills: Which Works Faster? When we swallow a sleeping pill, it will go through our entire gastrointestinal tract. This means the stomach (with acid and bile), the intestines (where most absorption takes place) and then off to the liver, for some more filtering. And then it is delivered to where it is needed. Truthfully, it takes time. On the other hand, when we spray the liquid directly into our mouth, it has a fairly direct route into the bloodstream with rapid absorption. No waiting, no roadblocks — just right into the blood and off to do its job fast. While oral sleep spray is convenient and works faster, obviously the ingredients in it still play the key role in delivering the intended results. Marz Sleep Spray Reviews: How Does It Work? Valerian is a flowering plant native to Europe and North America, the root of which is dried and used as an herbal remedy. According to Penn State Milton S. Hershey Medical Center, Valerian has been used to ease anxiety, and nervous restlessness since the second century A.D.
the United States Food and Drug Administration (FDA) listed Valerian rhizome and roots as “Generally Recognized As Safe” (GRAS) as published here. The American Academy of Family Physicians reported a study that 128 volunteers were given valerian, hops, and placebo – in which participants took each one of the 3 preparations 3 times in random order on 9 nonconsecutive nights and filled out a questionnaire the morning after each treatment. Results show the valerian extract resulted in a statistically significant subjective improvement in time required to fall asleep, sleep quality, and number of nighttime awakenings. Charité University Medical Center in Germany conducted another double-blind, placebo-controlled study involving 16 patients with previously established psychophysiological insomnia, and with a median age of 49. The study concluded treatment with a herbal extract of radix valerianae demonstrated positive effects on sleep structure and sleep perception of patients, and can therefore be recommended for the treatment of patients with mild psychophysiological sleeping disorder. To learn more on how Valerian root in Marz Sleep Spray helps with anxiety / stress and also help to get you to sleep – watch this excellent video by Monica Wilde who is a forager, research herbalist and ethnobotanist, and a Fellow of the Linnean Society. It has been said since ancient times that drinking green tea brings relaxation, in which the substance that is responsible for a sense of relaxation is L-Theanine – a unique amino acid compound found in green tea, which is also an ingredient in Marz Sleep Spray. While Unilever Food and Health Research Institute of Netherlands indicates L-theanine relaxes the mind without inducing drowsiness, the relaxing effects of L-theanine is also supported by a double-blind controlled study conducted by the University of Technology in Australia on 16 healthy volunteers. 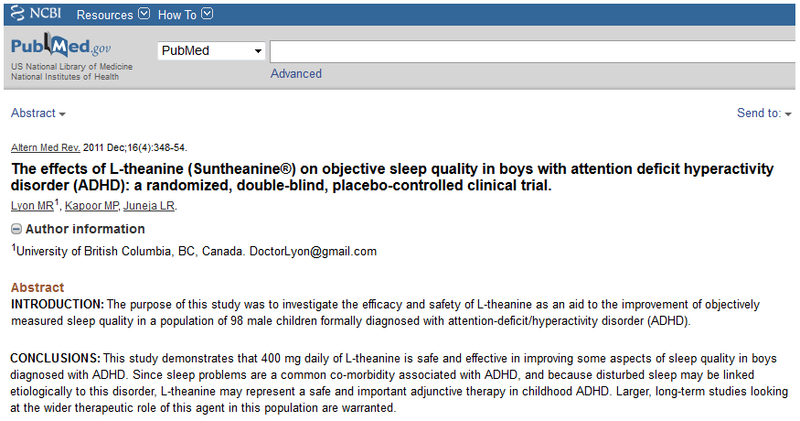 Additionally, a double blind trial conducted by the University of British Columbia on L-theanine in 98 boys with attention deficit hyperactivity disorder (ADHD) also showed significant improvements in sleep quality with L-theanine supplementation. The study concluded that L-theanine is safe and effective in improving sleep quality, as shown below. Melatonin is a hormone found in the body, in which people use melatonin to adjust the body’s internal clock. It is used for jet lag, and for adjusting sleep-wake cycles in people whose daily work schedule changes (shift-work disorder). Melatonin is also used for the inability to fall asleep. University of Maryland Medical Center said a study of 334 people aged 55 and older found that sustained-release melatonin helps people fall asleep faster, sleep better, be more alert in the morning, and improve quality of life in people. In video below, internationally renowned health physician Dr. Joseph Mercola talks about melatonin benefit and shares useful tips to have good night’s sleep. Inositol, also called IP6 and sometimes referred to as vitamin B8, is found in many foods such as beans, nuts, cantaloupe, citrus fruits, legumes, seeds, wheat and whole grains. Inositol is an occurring compound necessary for proper cell formation, nerve transmission and transportation of fats in the body. Inositol may also affect the action of the neurotransmitter serotonin, in which serotonin level plays a role in depression and anxiety. Journal of Clinical Psychopharmacology reported a double-blind controlled study by the Ministry of Mental Health Center at Ben Gurion University, indicating the efficacy of inositol was similar to fluvoxamine (a prescription antidepressant) in patients with anxiety disorders. Inositol reduced panic attacks by 4 during the first month, compared with fluvoxamine that reduced panic attacks by 2.4. Additionally, PubMed reported another double-blind controlled trial in 28 depressed patients and 21 patients with panic disorder, with results demonstrated that inositol has therapeutic effects in the spectrum of illness responsive to serotonin selective re-uptake inhibitors, including depression, panic and obsessive compulsive disorder (OCD). 5-hydroxytryptophan (5-HTP) is a chemical that the body makes from tryptophan (an essential amino acid that you get from food). It is also produced commercially from the seeds of an African plant called Griffonia simplicifolia. According to WebMD, 5-HTP is used for sleep disorders, depression, anxiety, migraine, and tension-type headaches. 5-HTP works in the brain and central nervous system by increasing the production of Serotonin that can affect sleep and appetite, while Serotonin also plays an important role including depression, obesity, and many other conditions. Marz Sleep Spray Reviews: Any Side Effects? Marz Sleep Spray is a sleep aid spray that combines safe doses of sleep aids, with all its ingredients are safe. However, just like any product, make sure the manufacturer directions are followed to avoid over dosage. For instance, the Inositol ingredient in Marz Sleep Spray is a compound that is water-soluble, Inositol does not produce toxic side effects. Most people tolerate Inositol without any problems, but when taken in large doses, you may experience diarrhea, headache, fatigue and dizziness. The recommended use for Marz Sleep Spray is spray 6 times, before bedtime or as needed. If you are pregnant or breast-feeding, it is recommended to consult your doctor before using Marz Sleep Spray. No other hormone is available in the United States without a prescription. Because Melatonin is contained in some foods, the U.S. Dietary Supplement Health and Education Act of 1994 allows it to be sold as a dietary supplement. These do not need to be approved by the Food and Drug Administration (FDA) or controlled in the same way as drugs. Marz Sleep Spray is a sleep aid spray supplement that combines safe doses of sleep aids with the rapid absorption to help achieve a full night of restful sleep. The ingredients in Marz Sleep Spray include Valerian root, green tea extract L-Theanine, Melatonin, Inositol, 5-HTP with proven efficacy to help you fall asleep faster, as supported by medical research and clinical results. ← Citicoline 500 mg: Buy at Walmart Walgreens GNC CVS.. ?